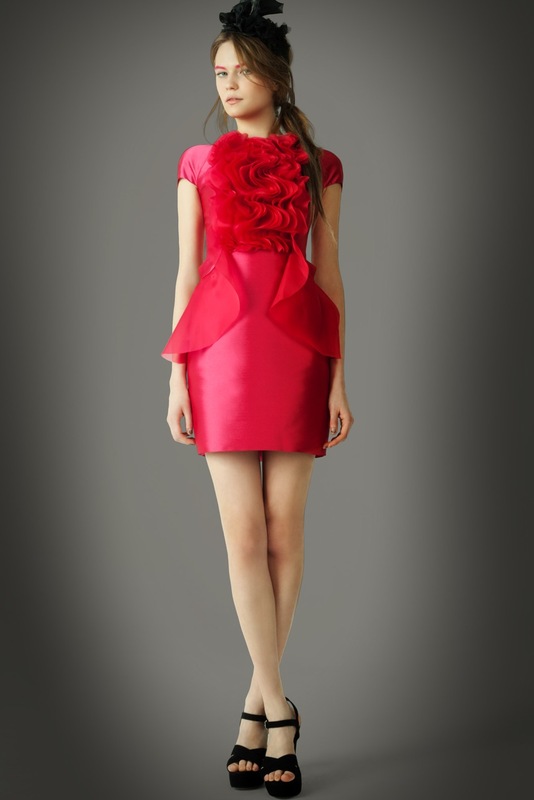 Kalmanovich is a ready-to-wear label based out of Moscow and New York. With the aim of draping luxurious fabrics on the modern silhouette, the brand creates forward designs defined by romantic statement pieces – ruffling soft tulle around impeccably tailored gowns or draping luxurious fabric beneath a cinched waist. Whether embroidered wool or playfully layered silk, the foundation of the brand is its bold identity, coupled with a fascination for whimsy. Julia Kalmanovich grew up in Moscow and considers her mother’s classical style her earliest inspiration. From Russian ballet to traditional theatre, her love of the dramatic was indulged by her parents and set her on the path to pursuing studies in fashion design. Upon graduating, Julia returned to her first love, learning elaborate dress-making disciplines from renowned costume designer Slava Zaitsev, known as the Patriarch of Russian fashion. Strongly influenced by Zaitsev’s encouragement to stay true to her roots, Julia points to Russian street style as a great source of inspiration for her collections. Having opened her own couture studio, she launched her first collection at Ural Fashion Week in 2006, as part of a young designer collective. The growing recognition of Moscow as a fashion capital led to the evolvement of Russian Fashion Week, hosted by Mercedez-Benz. The first Kalmanovich solo collection was launched in 2009 and the brand has functioned as an independent fashion house ever since, dressing models and fashion celebrities. Greatest Influences? My inspiration never comes from a specific theme, like many other designers have. I get inspiration from everything, whether it’s people on the street or art or movies. It all depends on what I am into at the time. Do you have a specific person in mind when you design your collections? I always keep my clients in mind when designing, who are young, successful, confident and active girls.